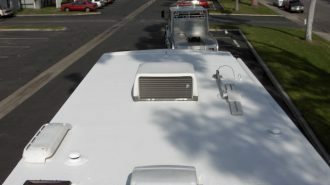 Are you ready to jump into your RV and hit up Florida? 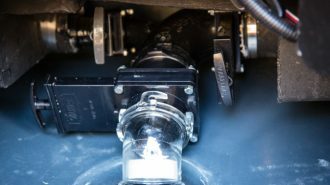 Florida is one of the most popular RV destinations in the United States. With thousands of miles of shoreline, Disney World, and the Keyes, what more can you want? While the summers can be hot, Florida is a great RV destination year-round. From the white sandy beaches of Jacksonville Beach to the many amusement parks in Orlando to the hot dance clubs in Miami, Florida has something for everyone. With more RV parks and campgrounds than you can count, Florida is the ultimate destination for RVers. With so many incredible places in Florida, it’s tough to just pick 10 things for our Florida RV trip planner, but we think we picked some pretty awesome Florida RV trip ideas. 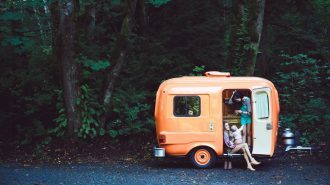 Of course, if you don’t have your own RV, you can rent one through RVshare! No Florida RV trip with kids is complete without a stop at Walt Disney World in Orlando. 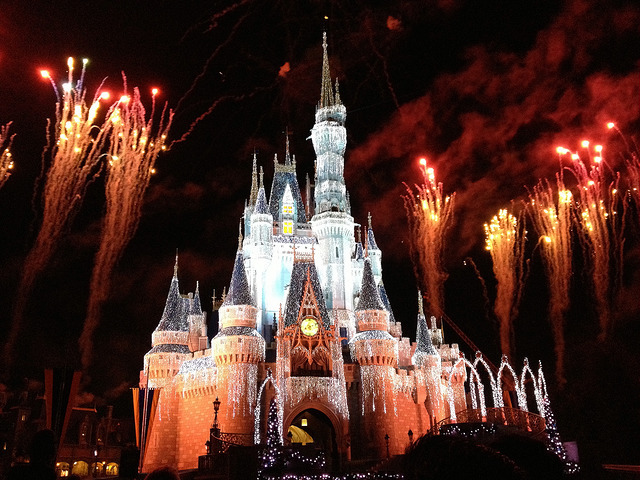 Encompassing over 27,000 acres, Disney World is one of the most popular theme parks in the world. First opened in 1971, Disney World has grown to include four theme parks, two water parks, 27 themed resort hotels, and lots of other entertainment activities. Well loved by people of all ages, a day or a week of Disney World is something that you will remember for the rest of your life. Whether it’s singing along to “It’s a Small World” in the Magic Kingdom or going on safari in Disney’s Animal Kingdom, you’ll find something to keep you coming back to this magical place for years to come. If you want the true Disney experience then you’ll want to stay at Disney’s Fort Wilderness Resort. 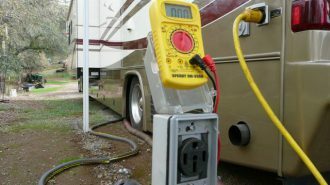 Large RV campsites are available with a privacy-enhancing landscape, full hookups, and cable TV. The resort offers unique activities like horseback riding, archery, and canoeing. Nearby Tropical Palms RV Resort is just minutes from all the themes in Orlando. With large RV sites and awesome amenities, you might not even want to leave the park! There’s also plenty of places nearby to park your RV. Once you’re all “Disney-ed” out, it’s time to drive down to Tampa Bay and spend a couple of days at the 335-acre, 19th-century animal theme park. 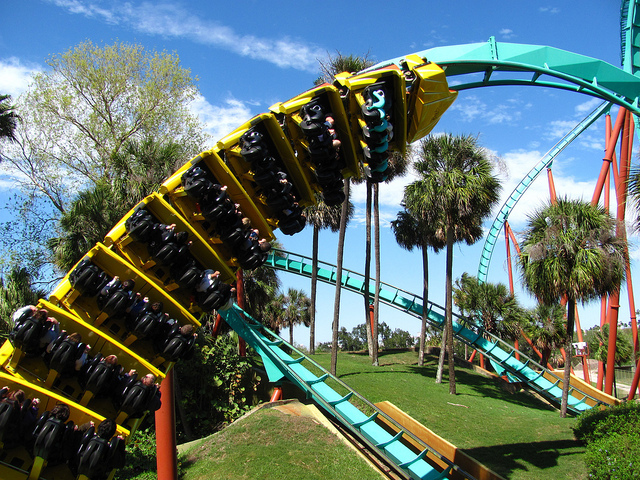 Home to eight roller coasters and two water rides, Busch Gardens is the place to go if you want a roller coaster high! Each area of the park has a theme, such as the Congo, Morocco, and Egypt. Busch Gardens is home to the first and only dive coaster in the United States called the SheiKra. The Serengeti Plain is a 29-acre habitat home to an array of native Africa animals like zebras, giraffe, and even some ostrich. As the part of the Anheuser-Busch family, you’ll find lots of great food and drinks at Busch Gardens to enjoy after a long afternoon of roller coaster hopping. Lazy Days RV Resort in Tampa offers world-class RV resort amenities at affordable prices. With 300 RV sites with full 50-amp hookups, a screened and heated pool, and free WiFi and Cable TV, what more could you ask for? They also have an RV-themed restaurant on-site. 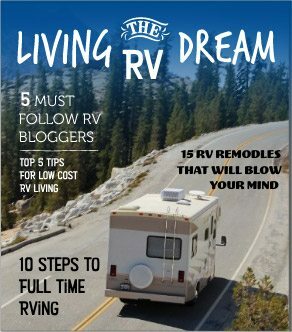 Lazydays RV is also on our top 10 RV dealers list, too! Just 45 minutes east of Orlando, you’ll find Florida’s famed Space Coast. Consisting of 72 miles of coastline perfect for surfing, sunbathing, and lots of beachfront happy hours, you want to make sure the Space Coast is on your Florida RV trip itinerary. Stretching from Titusville down to Palm Bay, you’ll discover that Florida’s Space Coast is quite diverse. 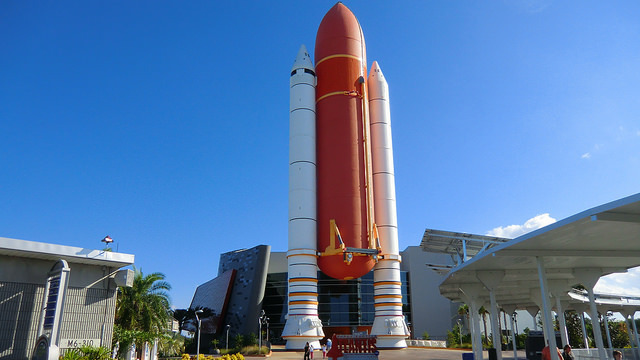 Start your holiday at Kennedy Space Center on Cape Canaveral where the brave men before you step foot before embarking to space. Melbourne is home to charming art galleries, upscale boutiques, and lots of great dining and beaches. 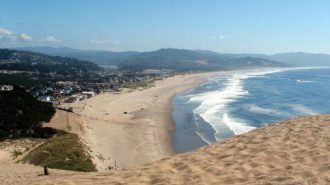 The area is home to 33 miles of unspoiled beaches available day and night. For the nature lovers, spend a few days in Titusville where you can see over 300 bird species in the Merritt Island National Wildlife Refuge. Crystal Lake RV Park in Mims has large RV sites with full hookups, a swimming pool, three-acre lake, and WiFi. Kennedy Space Center and the Canaveral National Seashore is just a short drive away. Palm Shores RV Park in Melbourne has 36 campsites with full hookups that can accommodate even the biggest RVs. 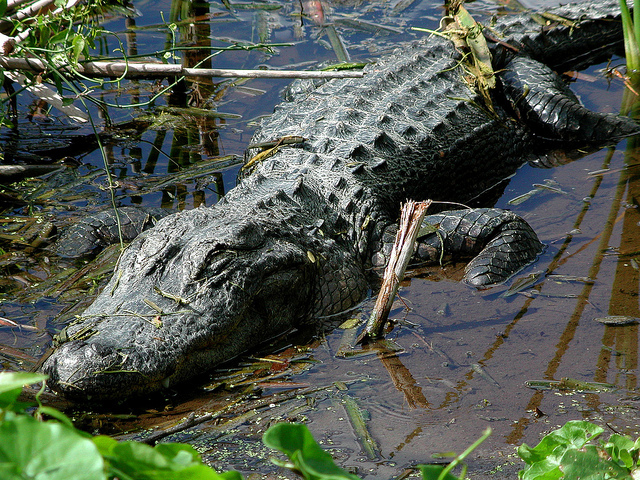 The Everglades National Park is the largest subtropical wilderness in the United States. This vast National Park consists of 1.5 million acres of wetland throughout South Florida and is a designated World Heritage Site and International Biosphere Reserve. Many rare and endangered species like the manatee, American crocodile and the Florida panther call this park home. You can explore much of the park by tour boat, kayak, or bike. Popular nature spotting trails include the Anhinga Trail and the 99-mile Wilderness Waterway. Don’t miss the panoramic views atop the 65-foot observation tower in Shark Valley. Everglades Isle is one of South Florida’s best-kept secret. This luxury RV resort an on-site spa, movie theater, resort-style swimming pool and more. Flamingo Campground is located on the east end of Cape Sable near the 99-mile Wilderness Waterway. This basic campground has 234 drive-in sites perfect for those looking to go off the grid for a few days. The Florida Keyes are the jewel of the Cape. With lush white sandy beaches, palm trees swaying in the breeze, and more umbrella drinks that you can drink in one night, Key West is the place you want to go if you want a little fun in the tropical sun. Key West is more than a charming, colorful party town, it has heaps of outdoor activities like scuba diving and snorkeling, kayaking, art galleries, and tons of amazing restaurants and bars. Don’t forget to take a Key Lime Pie-making class to make this town’s famous desert. Leo’s Campground in Key West is the most affordable campground in the Florida Keyes. That’s why it makes our 10 best RV parks in Florida list! 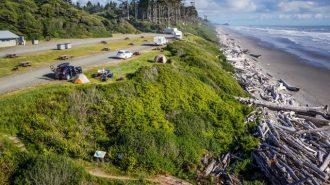 With RV sites that can fit RVs up to 42’ in length, this RV park has full hookups, WiFi spots, and hot showers to wash the sand off your feet. 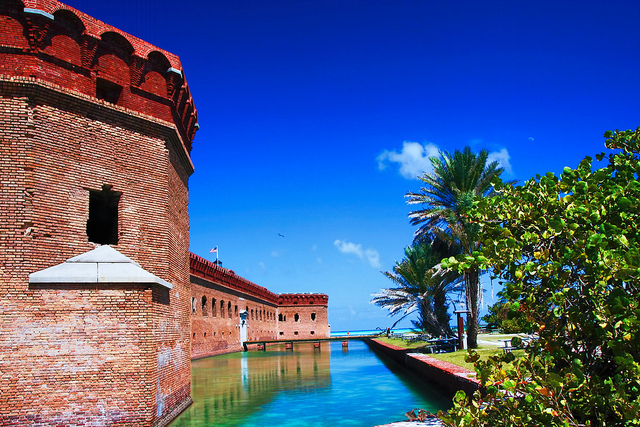 Dry Tortugas National Park is 70 miles west of Key West making it only accessible by boat or seaplane. You’ll have to park your RV in Key West to get here. This 100-square mile National Park is home to seven small islands and the magnificent Fort Jefferson. The fort is the largest all-masonry fort in the United States and was built between 1846 and 1875 to protect the country’s gateway to the Gulf of Mexico. The Fort was never officially finished or used in battle. Today, it is home to an abundance of birdlife and sea life. To get to this Instagram-worthy National Park, you’ll need to take a ferry or seaplane from Key West or hire your own private boat. 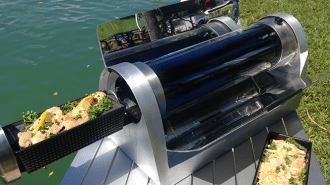 Unless your RV can transform into a boat or submarine, you’ll have to park her in an RV park in Key West before heading to Dry Tortugas National Park. The El Mar RV Resort is located just 1.5 miles off US 1 and is the perfect place for some serious relaxation and fun in the sun. This small RV resort is just like a five-star hotel on the beach. Florida is more than just golf courses and amusement parks. It was a deep history that dates back before the United States was even a country. 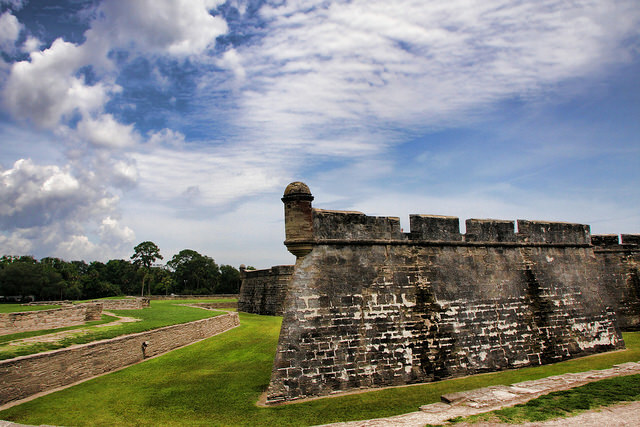 Castillo de San Marcos National Monument is the country’s oldest masonry fortress and is an excellent example of the “bastion system” of fortification that originated in Italy during the 1400s. Castillo de San Marcos was considered a remote outpost but experienced many attacks during the early day of American colonization. History buffs will love spending an afternoon exploring the old fort and surrounding area. 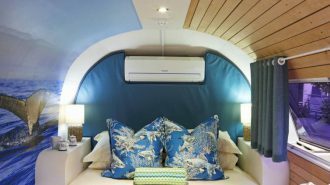 The Compass RV Park in St. Augustine has been recently renovated with lots of great new amenities from a new swimming pool to improved WiFi services. The new Oasis campsites are going to be some of the best in Florida. The St. Augustine Beach KOA is another great option closer to the beach. Miami is one of Florida’s largest and most diverse cities. 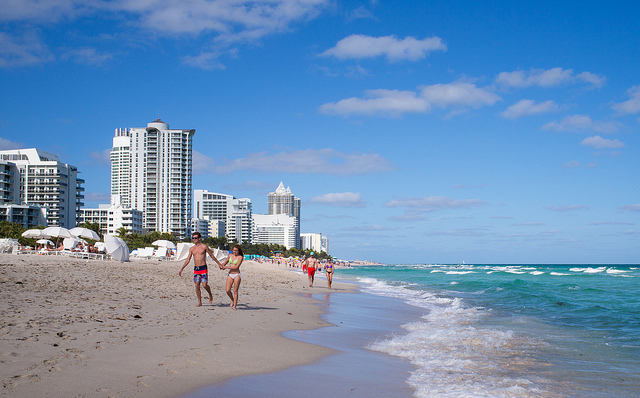 Located on the southeastern tip of the state, Miami has a major Cuban influence and lots of glamorous neighborhoods and beaches. 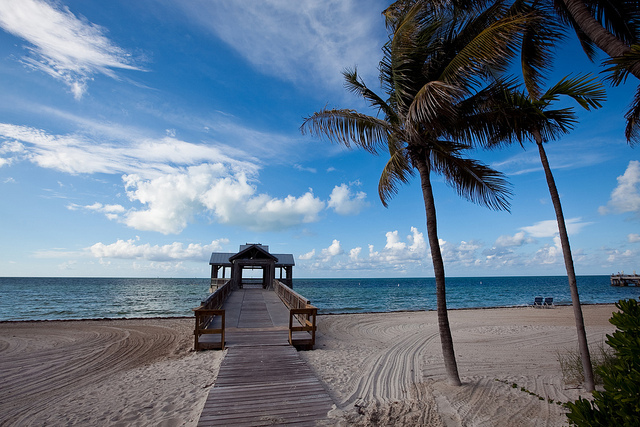 Biscayne Bay is home to famous beaches like Miami Beach and South Beach. You’ll see all the hottest people here during the day and night. Miami is home to legendary nightlife so those looking to party into the wee hours of the next morning will love this international city. Enjoy the art at Vizcaya Museum and Gardens. Salsa dance at Ball & Chain. And take a run along South Beach in the early morning light. Miami Everglades RV Resort was selected as 2010’s “Best Campground in Miami.” Located just 30 miles south of downtown Miami, 10 miles from the Everglades National Park, and 30 miles to Key Largo and the Keyes, Miami Everglades RV Resort is the perfect location to stay for your South Florida RV adventures. 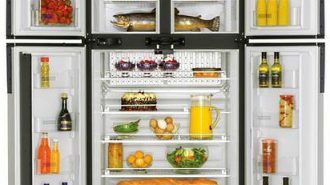 This RV park has all the modern amenities you need at a reasonable price. If you’re looking to get away from the big city lights and the crowded amusement parks, head to the Florida Caverns State Park in Marianna. It is one of the few state parks with dry caves and the only state park in Florida to offer fun cave tours to the public daily. 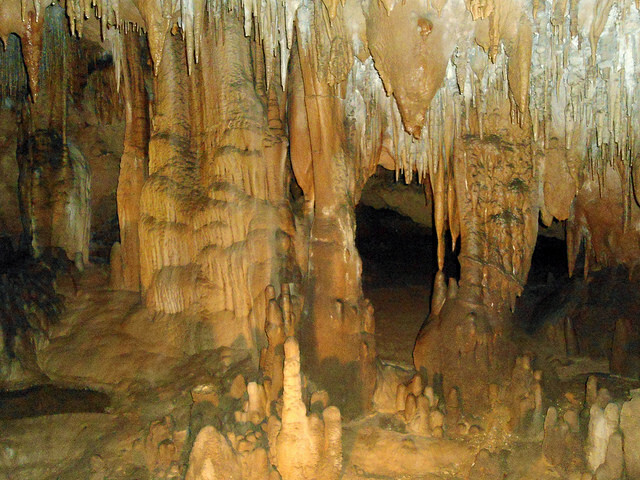 Discover the dazzling limestone formations, like stalactites, stalagmites, and more. Guided tours last for 45 minutes and is a great way to discover Florida’s underground. The Florida Caverns State Park is also great for fishing, canoeing, hiking, and horseback riding. If you’re 50 and over you’ll love the Alliance Hill RV Resort in Marianna. This pet-friendly, gated RV resort has large pull-through slab sites with full Hookups, pool, and contemporary clubhouse. Arrowhead Campsites is open to people of all ages and is another excellent RV park in the area. John Pennekamp Reef State Park is the first undersea park encompassing more than 70 nautical square miles. The upland area of the park is home to mangrove swamps and tropical hammocks. If you love to scuba dive or snorkel then this is the state park for you. 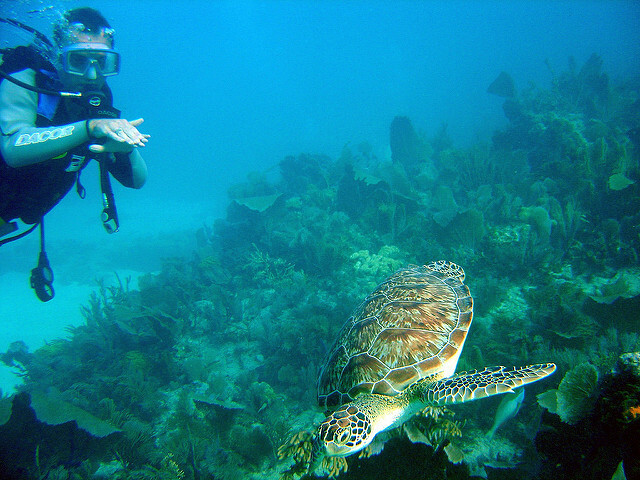 With tons of amazing dive sites, you’ll get to see tons of tropical fish and turtles up close and personal. If you would prefer to stay above the water then the park has great kayaking and canoeing as well. Kings Kamp RV Park and Marina in Key Largo is located just 200 yards from the Cross Keys Waterway, which is the gateway to the John Pennekamp State Park. 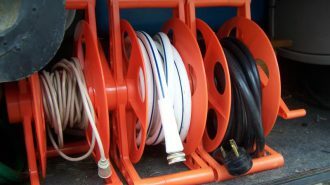 Adjacent to the Marina, the RV Park roomy campsites that can fit rigs up to 40 feet in length. There’s free WiFi, a great beach, and plenty of activities to do. 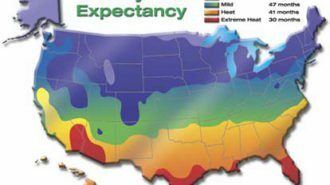 We hope you like our Florida RV travel tips. We know there are hundreds of things to do and places to see, but we managed to narrow our ever-growing list down to the top ten things to do in our free Florida RV travel guide. Winter is right around the corner so it’s time to start planning your Florida RV road trips!